One of the best ways to get a huge skincare hit is by using overnight treatments and masks. During the day we move, talk, eat and drink, which affects what’s on our skin. Not to mention UV, pollution and other external factors. Therefore nighttime is prime time for skincare. Solid hours of sleep provide a blank canvas for our skin, and minimal movement and external factors mean our skin can really soak up what we put on it. Plus we all usually finish our day with a skincare regime, so it’s the perfect time to apply a new extra step. These are all reasons why I have really enjoyed nighttime treatments and masks in the past few months. 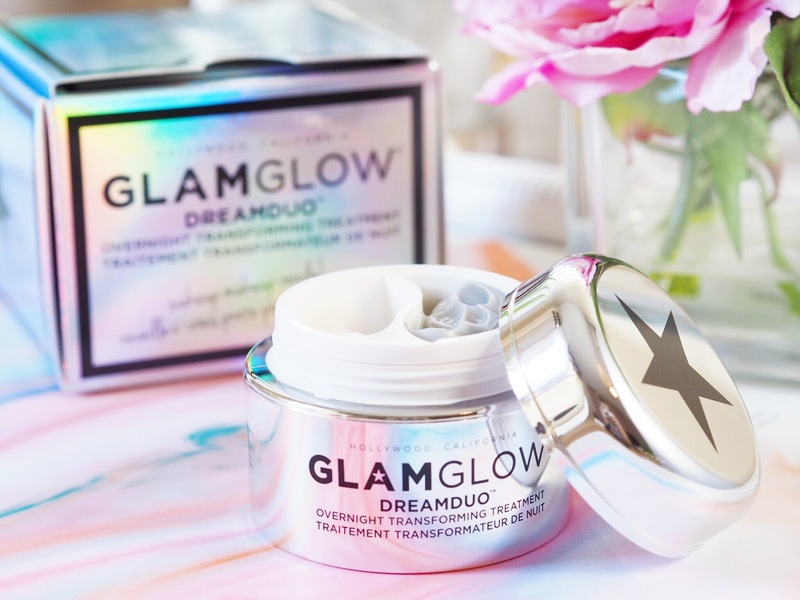 The one I tried most recently was the GlamGlow Overnight Transforming Treatment which shouldn’t be a surprise because I LOVE GlamGlow products. Their Supermud will forever remain one of my favourite face muds and I try all their new products because I’m so impressed with the range. 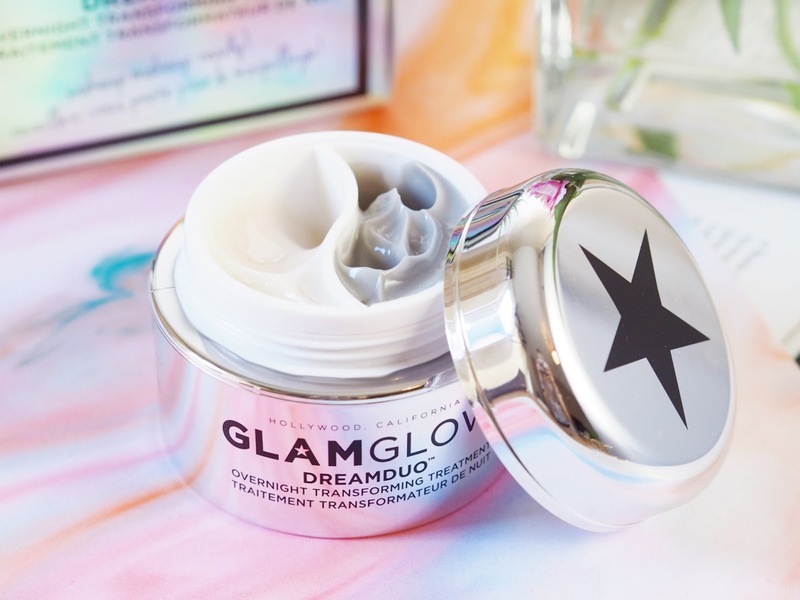 The new Overnight Transforming Treatment was something else I’d been excited to try, especially because I’ve been mixing up my skincare a lot recently. 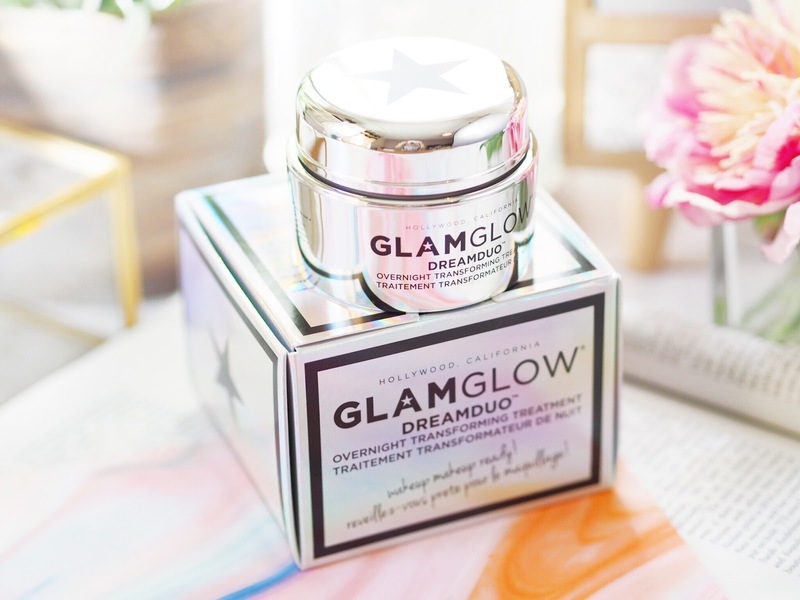 The Dream Duo is a two part treatment that you use after your normal skincare routine every night. After cleansing and toning, you first apply Step 1, which is the pearl coloured cream. 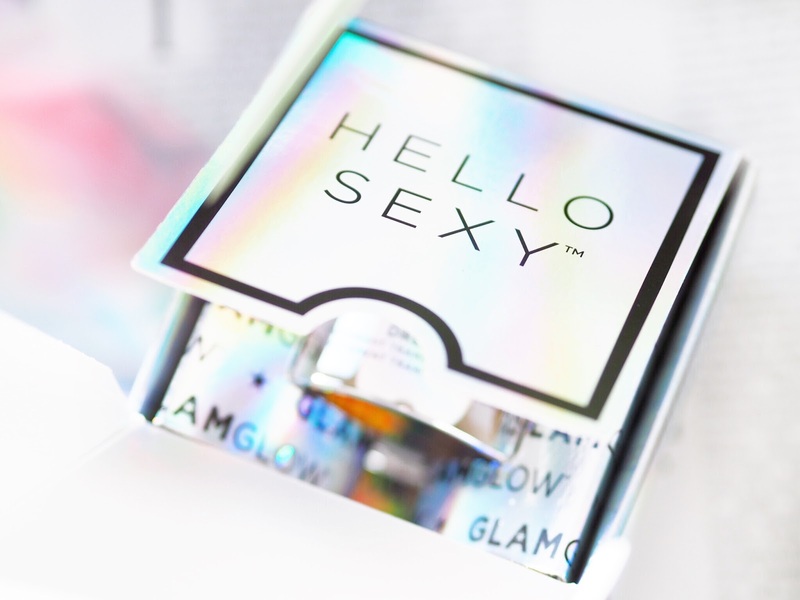 This cream works as a melt-in serum. You apply all over the face and leave for just under a minute for it to soak in. This step is the Dreamserum. The next stage is Step 2, which is the grey cream. This is called the Dreamseal. You apply this all over the face and voila. Your treatment is complete. All that’s left is to have a great night’s sleep! So the Dream Duo Overnight Transforming Treatment is supposed to act as a skin plumper – the same way a lip plumper would work, but this is supposed to plump skin. 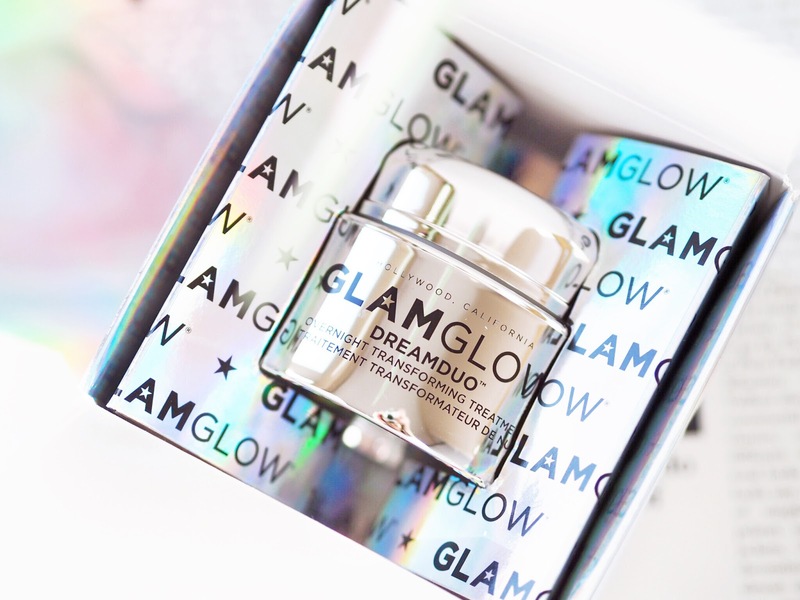 The Dreamserum has a pearl and shimmery look to it, which is supposed to leave skin looking radiant when you wake. So the ideal outcome would be radiant, plumped and nourished looking, healthy skin. For me the outcome was that my skin looked really hydrated. The pearl and radiance boosting vitamins really are noticeable in the mornings. I’m not one for a glowy or dewy finish, but my skin just looked well hydrated in the mornings. After about a week or so use, I noticed that my skin felt softer too, which I think was the plumping effect taking control. More than anything, from the first use my skin felt a lot more nourished and healthy every morning. So even if you can’t see results immediately, it’s key to listen to what your skin is telling you. And mine was saying that the Dream Duo was really keeping things hydrated. After a month of using this most nights, my skin still feels lovely and nourished – and very healthy. Waking up with a radiant look is really nice and for me the best thing is that the duo has made my skin feel softer and healthier. It feels more even in tone and I’ve already recommended this to a friend of mine with dry skin who looks the dewy finish. 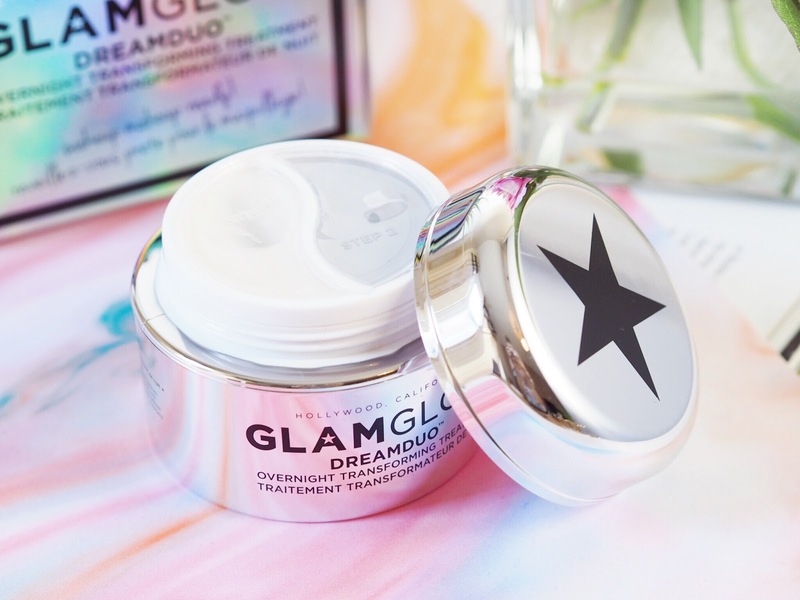 If you’re looking for a big skincare hit but don’t have much time, make use of the nighttime with this little pot. You don’t need extra time to take full advantage of happier and fuller looking skin.